As the seasons change here in Utah, the anticipation for the holiday season makes itself very prominent all around us. As we walk into stores we see the displays changing to Thanksgiving and Christmas sometimes BEFORE Halloween has even arrived. As we walk the streets we see city workers hanging lights and garland. Ready or not, the holidays are upon us! For many of us, these are welcomed sights reminding us of many traditions past and family gatherings where memories will soon be made. For others, it can be the start of an anxiety attack that makes it hard for them to get out of bed every day and get to work. 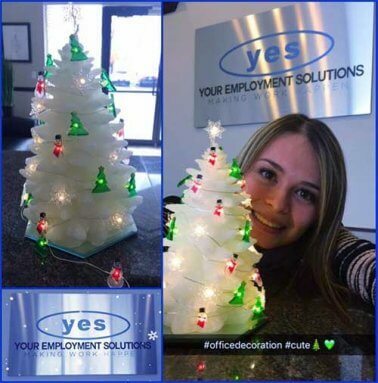 Whether you’re eager to welcome the holiday season with open arms or considering moving to a deserted island until the holidays are over, here are a few helpful tips to help you stay focused while at work. With all the cooking, shopping, cleaning to prepare for guests, commuting to and from work and dealing with added traffic from travelers, driveways and walks to shovel and parties to attend, it’s important to plan accordingly. Don’t wait to do all your Thanksgiving grocery shopping until the day before! Don’t wait until the weekend before Christmas to go check off all the gifts on your list. Doing so will add stress to your life and life-stress spills into work and causes additional anxiety. Also, try taking a day or two off a couple weeks before the holiday to beat the rush in the stores and enjoy some time off before the hordes of people hit the streets and stores. 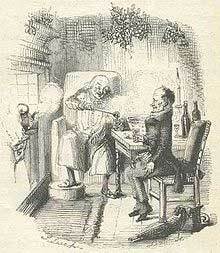 We’ve all seen or heard the story of Ebenezer Scrooge from Dicken's A Christmas Carol. If Scrooge can ultimately find happiness during the holidays, why can’t we? It just takes a little reflection and maybe even a little spin-selling to turn those negative thoughts into positive ones. I, for one, do not like the snow during the holidays BUT my kids LOVE it and I enjoy watching them play in the snow. Therefore, taking them sledding brings happiness to my kids’ lives which in turn makes me happy. When I’m happy in my personal life it spills over into my work life. See how that works? I’m not a huge fan of traffic and long lines at the stores BUT I do enjoy shopping online for cyber-deals and taking advantage of many retailers offering free shipping during the holidays which saves me from waiting in lines. Finding deals and saving on shipping takes away some of the financial stress during the holidays which doesn’t make me feel like I need to work extra hours to earn extra cash. Can I call this a win-win? Close enough. Like most people, I’m always trying to watch my weight but the influx of food and treats around the holidays make it tough to stay in shape and not indulge in all our foodie desires BUT during the holidays there are plenty of football games on TV. (I know what you’re thinking, how is TV gonna help us watch our weight?) Well, I struggle staying entertained at the gym but you throw on some great football games and I could ride a bike for hours in front of that TV! As a bonus, hitting the gym increases my energy which helps me focus at work. Sneaky, right?! To sum it up, it’s up to us to take control of our stress levels. Let’s work on our time management, be prepared, take a lesson from Scrooge and find ways to just sit back and enjoy the moment in hopes we don’t get overwhelmed and cause our work to suffer. Cheer up and make the most of the holidays!